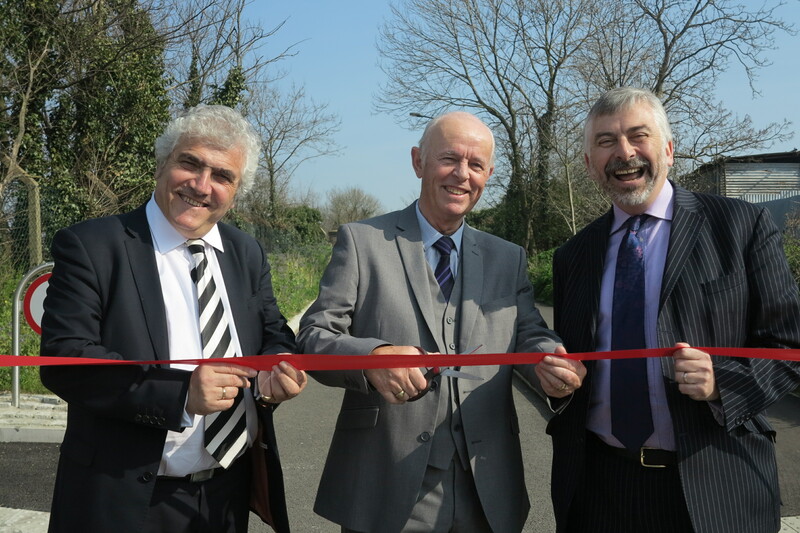 Willow Lane Bridge was officially opened today by the Leader of Merton Council, Councillor Stephen Alambritis and Merton’s cabinet member for environmental sustainability and regeneration, Councillor Andrew Judge. The bridge in Mitcham provides access to the Willow Lane industrial estate, which is home to over 250 businesses and 2,500 employees. The opening marks a successful partnership effort between the council, FM Conway, Willow Lane Business Improvement District (BID) Board, and the Mitcham Common Conservators. As well as improving access between the main road and the industrial estate, pathways for pedestrians and cyclists have been improved allowing better access to Mitcham Junction tram and train stations. New energy efficient lamps and plants along the pavement will make the area safer and more attractive. Merton’s cabinet member for environmental sustainability and regeneration, Councillor Andrew Judge said: “The completion of Willow Lane Bridge will reopen one of the most important access roads to the largest trading estate in Merton.